Cabo Ledo Guiding & Surf Trip - Luanda, Bengo Gästers totala omdöme: ☆☆☆☆☆ 0 baserat på 0 recensioner. Famous African sunrises and sunsets, beautiful and uncrowded beaches , fresh fish, seafood and exotic fruits that taste like heaven. Surf guiding with professional surfer will take you to the best waves near Cabo Ledo (range of 50km). Surf bungalows and resort are located in the beachfront in Cabo Ledo, several bungalows with fantastic conditions. For the families: comfortable and cozy traditional stone houses. You will find welcoming locals that will make your life a Semba (Angolan typical dance)! 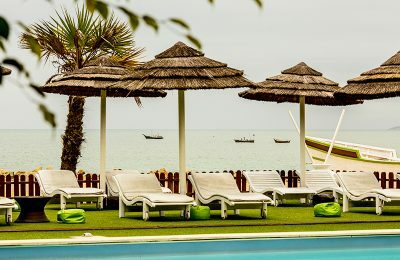 Cabo Ledo Surf Resort - Caboledo, Luanda Gästers totala omdöme: ☆☆☆☆☆ 0 baserat på 0 recensioner. 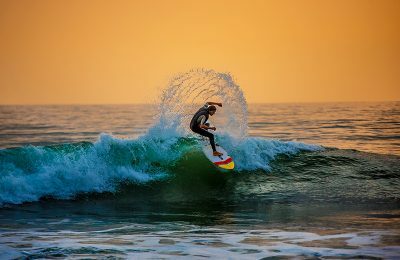 A destination increasingly recognized by the longest waves in the world and classified as one of the world's "must-see spots" for all surf professionals and surf lovers. Cabo Ledo is also a great natural place to renew your energies and share unique moments. You will find 19 bungalows - private rooms in deep fusion with nature, built in natural wood with a sustainable design, where the lush vegetation is the main element of inspiration. Outdoor swimming pool, private beach, large outdoor area and a lush garden.